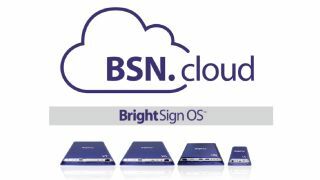 The What: BrightSign has launched BSN.cloud, a cloud-based player management platform for connected digital signage networks. Along with its new user interface, BrightAuthor:connected, the platform will supersede the company’s current BrightSign Network ecosystem with a multi-tiered service offering. The What Else: BSN.cloud is composed of three levels: Cloud Control—which is included for free on every player—and Management Cloud and Content Cloud, which will be offered at a monthly subscription price. “The BrightSign network gets decomposed into three different clouds, and then in that new cloud architecture we’re actually changing what’s on the players to have more of a complete operating system connectivity,” said Jeff Hastings, BrightSign CEO. BrightSign has released APIs for each tier, and partners such as Carousel Digital Signage, Creative Realities, and Diversified have already used them to produce custom software interfaces. Creative Cloud—the highest subscription tier—hosts and distributes content to players, adding features such as a media library, content feeds, schedules, presentation management, and content distribution tools. According to Hastings, BSN.cloud is compatible with all Series 2 4K models, and all of Series 3 and 4 players, requiring just a firmware upgrade to the latest operating system. The Bottom Line: For technology managers, BSN.cloud eliminates the need to individually set up individual devices, and with enhanced management features, enables a deeper level of management of a deployment of players. “We dramatically reduce the amount of time a person would have to spend actually touching our players, because of all the built-in remote control and remote diagnostics,” Hastings said.